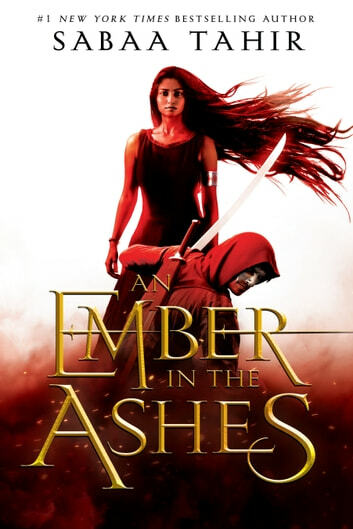 It doesn't matter if you regularly read YA fantasy novels or if you're new to the genre, An Ember in the Ashes, Sabaa Tahir's debut novel, will make you a believer. It's fast-paced and full of great moral questions, such as what it means to be courageous and how you should act when the status quo and your conscience differ greatly. Elias and Laia are both rich and complex characters with compelling stories, and the secondary characters, including the main villain, are more than one dimensional figures. Pick it up today - you won't regret it! This was one of the most wonderful books I have ever read~ I find myself continuously coming back and re-reding the series because I can never get enough of the amazing world and characters that Sabaa Tahir has created. To say I have fallen in love with her world is an absolute understatement! This book is amazing in every aspect, Sabaa Tahir's impeccable writing will have visualizng, feeling, touching ever thing. Cant wait to read the sequal. You will not be able to put this book down! The characters are full of depth and you will be hard pressed not to love something of each of them. Great storyline and character development. I loved the fact that each chapter switched between views so you never felt like you had to wait too long to get back to the cliffhangers.